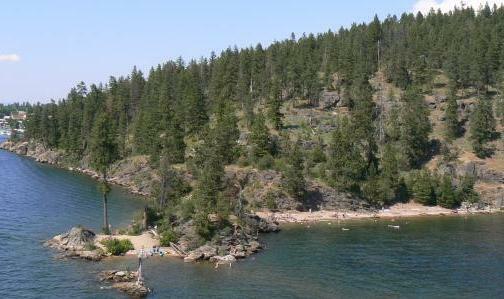 Even before the marathon meeting gathered momentum, the Coeur d’Alene City Council agreed unanimously to separate Tubbs Hill from the concept plan for McEuen Park. On a motion by Ron Edinger, seconded and amended by Mike Kennedy, the Council agreed with KEA and the Tubbs Hill Foundation that Tubbs Hill needs to be addressed, but needs to be addressed differently, and in a different process. The Council’s action recognized that there was a consensus that accessibility concerns needed to be addressed on Tubbs Hill. With Kennedy’s amendment, the issues relating to Tubbs Hill were remanded back to the Parks Department to draft a specific comprehensive management plan to address trail accessibility, public safety, connectivity, forest health, invasive species, and ongoing maintenance. The Department was directed to collaborate with stakeholders including the Tubbs Hill Foundation and the disability community. Kennedy’s amendment also will require a specific report back to the Council with dates and schedules for implementation. After similar amendments by Edinger to save the boat ramp and baseball field failed, the Council opened the meeting to public comment. Eliminating the Tubbs controversy saved a minimum of six minutes of the marathon four-and-a-half-hour meeting as the Tubbs Hill Foundation and KEA no longer felt a need to testify. At the close of public comment, the Council voted 5-1 to approve the rest of the McEuen proposal. We think this is precisely the right approach for Tubbs Hill. With the plethora of McEuen Park issues now a separate municipal headache, we can look forward to working with the Parks Department and the other stakeholders to come up with a great plan for the great Tubbs Hill. I’m overjoyed that Tubbs Hill was excluded from the proposal. Tubbs Hill’s only relationship to McEuen is its close proximity to the park, and it needs to be considered separately and uniquely from the rest of the changes.